The deciduous vine, Boston ivy, cloaks the walls of old university buildings across the north. 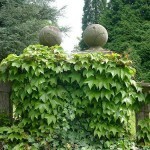 Boston ivy is a close relative of the grape and originates from China, Korea and Japan. 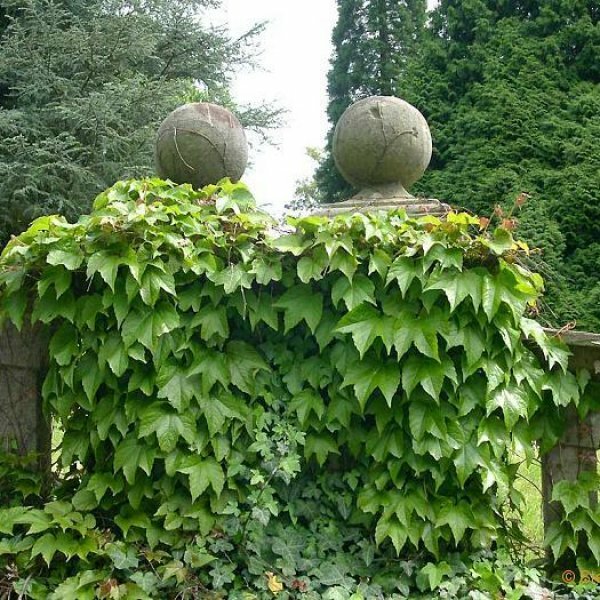 It is a vigorous self-clinging woody vine that attaches itself to surfaces by tendrils tipped with small disk-like adhesive pads called holdfasts. It bears beautiful three-lobed leaves that are lime green in spring, deep green in summer, and turn shades of deep red, scarlet and orange in the fall. After the leaves fall, a fine tracery of the clinging stems is fully visible on building walls offering a winter lace of sorts. In early summer inconspicuous green flowers appear followed by black fruits, which are eaten and spread by birds. 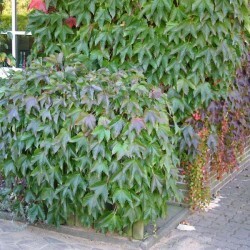 This vine grows in full sun to shade and tolerates many soil types as long as they are well-drained. 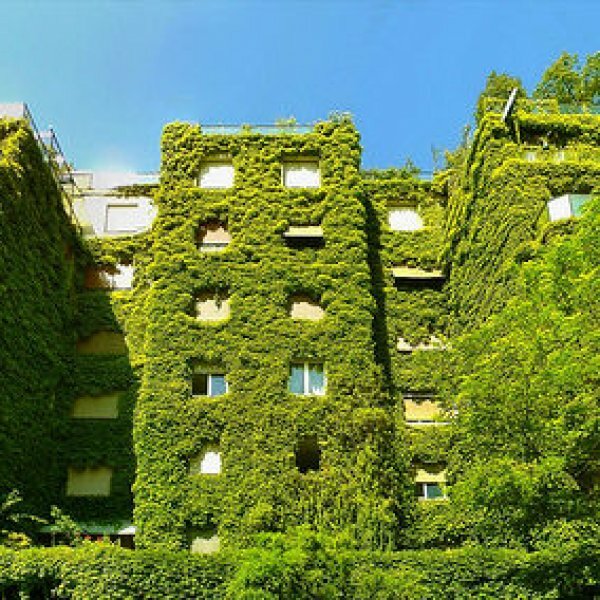 In hot climates it grows best on cool north and east facing walls, but elsewhere it can cover an entire building equally on all sides. 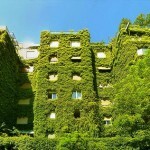 Few vines are as effective in cloaking ugly architecture with so little maintenance. 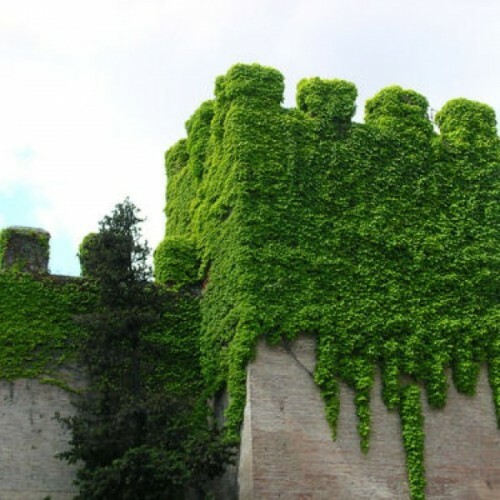 The clinging holdfasts of Boston ivy do minimal damage to buildings and masonry, which is another reason why this vine is preferred for wall coverage. Germination 1. Place the seeds in a bowl, cover them with water and allow them to soak for 24 hours. 2. Place the seeds in a handful of just slightly moist sand and then into a plastic sandwich bag. Seal the bag and leave it in the refrigerator for 60 days. 3. 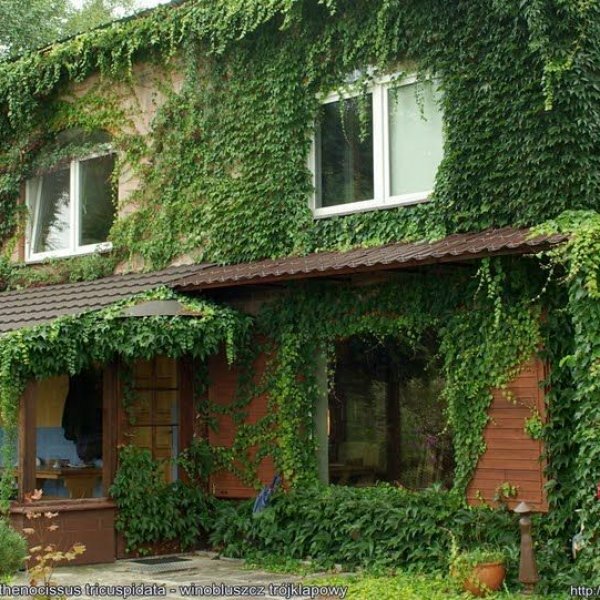 Sow the seeds inside in pots or into the garden in the spring, after the danger of frost has passed. 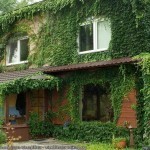 Plant them 3/8 inch deep in an area that receives direct sun.